Trent University Archives is a regional repository for historical papers and records relating to the Trent Valley area and beyond, with special emphasis on those subject areas which complement undergraduate and graduate teaching at Trent. We are guided by a written Mandate and are open to the public without charge. 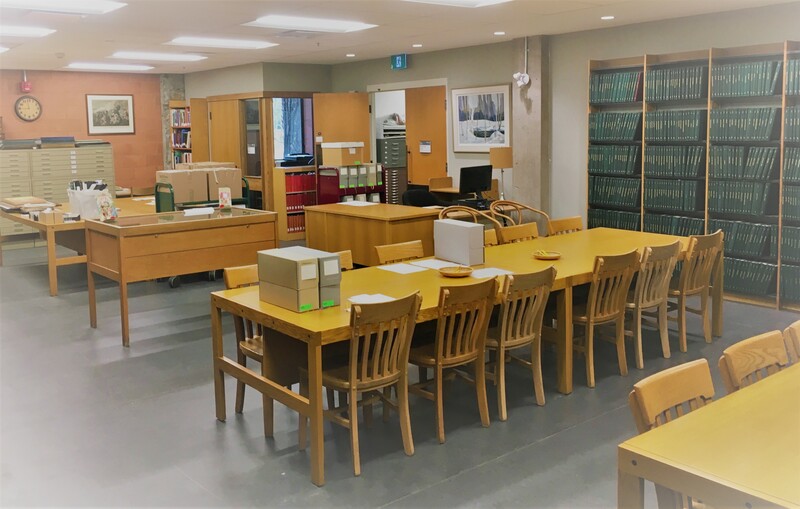 Trent University Archives has two named areas: Northway Reading Room, and Michael Treadwell Special Collections and Rare Books Room. Trent University Archives received the Archives Association of Ontario Institutional Award of the year in 2003. Find out more facts about Trent University Archives. University Archivist Emeritus: Bernadine Dodge, M.A., Ed.D. Trent University historical papers. Key dates and historical information on policies, the administration and history of the University itself. Included is an administrative chart, photographs and slides, information about the Trent crest, building names and much more. Private historical papers. Papers and documents relating to the history of the Trent valley area and far beyond as well as items which support the teaching and research done at Trent University. Special Collections and Rare Books.